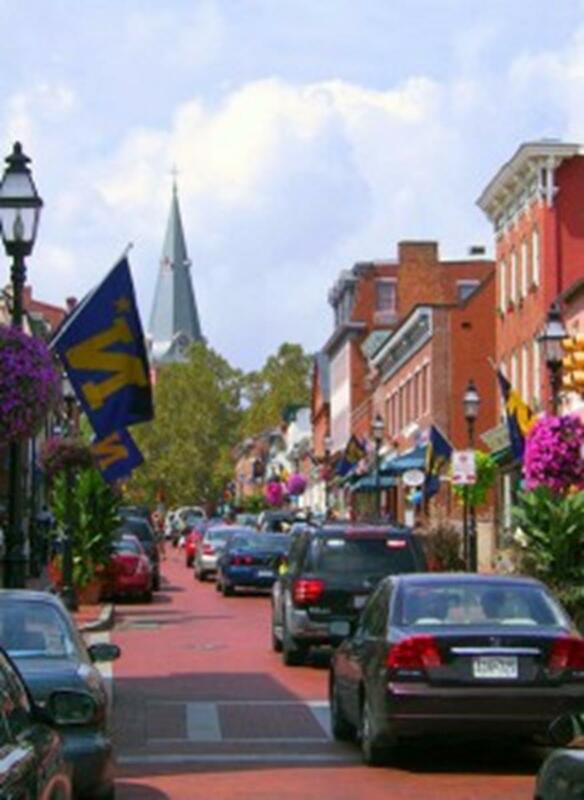 Annapolis, chartered in 1708, is one of America’s oldest and most historic cities. Located on the Chesapeake Bay and at the mouth of the Severn River, this capital city is called “a museum without walls” because it has the most buildings constructed in the Georgian architectural style in America. Many historic churches and religious sites of interest can be found in Annapolis, along with attractions, dining and accommodations for religious travel groups. Our visiting groups enjoy the combination of religious, colonial and maritime history while relaxing on or near the water. St. Anne’s Episcopal Church is the oldest church in Annapolis. The church was founded in 1692 as part of Middle Neck Parish, one of the 30 original Anglican parishes in Maryland. Three churches have been constructed on site, and the church currently in use was finished in 1859 in the Romanesque Revival style after the second church was destroyed by fire on Valentine’s Day the year before. The church’s interior features a stone altar and font carved by 19th century Maryland sculptor William Henry Rinehart. The stained-glass St. Anne’s Memorial Window, made by Tiffany and Co., was displayed at the 1893 Chicago World’s Fair and won first prize for ecclesiastical art. Another church dating back to colonial times is St. Margaret’s Episcopal Church. St. Margaret’s was founded in 1692 as part of Broad Neck Parish, another of the 30 original Anglican parishes to serve colonial Maryland. The historic Carpenter Gothic-style church was rebuilt in 1892 for the third time on the same plot of land due to a fire. One interesting church and religious site in Annapolis is St. Mary’s Catholic Church. The church shares property with the Charles Carroll House, where the only Catholic signer of the Declaration of Independence, Charles Carroll of Carrollton, was born and lived. In 1701, Charles Carroll of Annapolis bought the property and established a private chapel on it. Three years later, Jesuits arrived in Annapolis to help Catholicism spread. Charles Carroll of Carrollton, his son, born in 1737, signed the Declaration of Independence in 1776 and inherited his father’s estate. In 1821, he gave Mary Anne Patterson, his granddaughter, a title for land on which to build and open a church. St. Mary’s Church first opened in 1823, and the property was given to the Redemptorist Catholic Missionary Congregation in 1853. The Banneker-Douglass Museum, named for Benjamin Banneker and Frederick Douglass, was opened in the historic Mt. Moriah African Methodist Episcopal Church in 1984. The brick Gothic Revival-style church was built in 1875 and renovated in 1896. Mt. 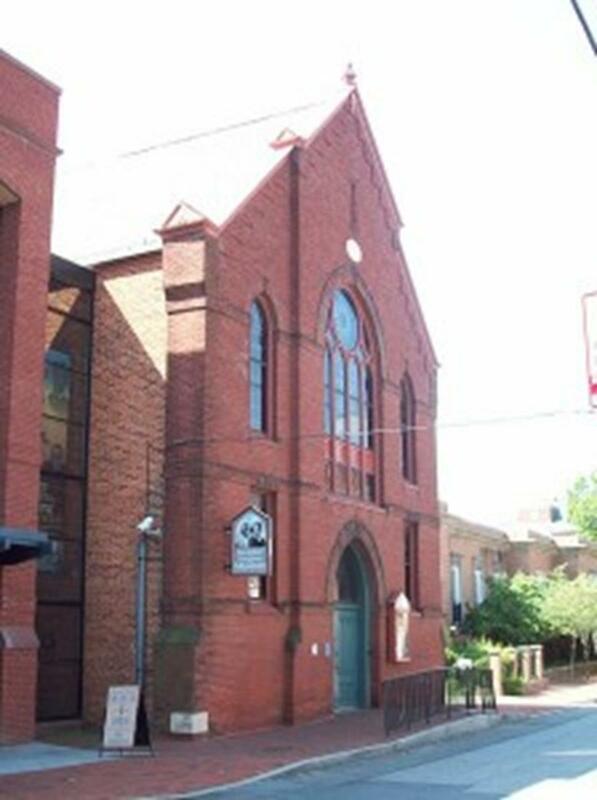 Moriah served as the gathering place of the First African Methodist Episcopal Church for over 100 years until it was leased by the Maryland Commission on African American History and Culture, becoming Maryland’s official African-American history museum. The museum strives to protect Maryland’s African-American heritage and contains exhibits that honor famous African-American residents of Maryland, including Banneker, Douglass, Harriet Tubman and Thurgood Marshall. Religious groups traveling to Annapolis should take advantage of the many historical and cultural attractions that the city has to offer. “Annapolis offers boating, arts and theater, attractions, festivals, museums, golf and guided tours. There is something fun and educational for all ages,” McNees said. 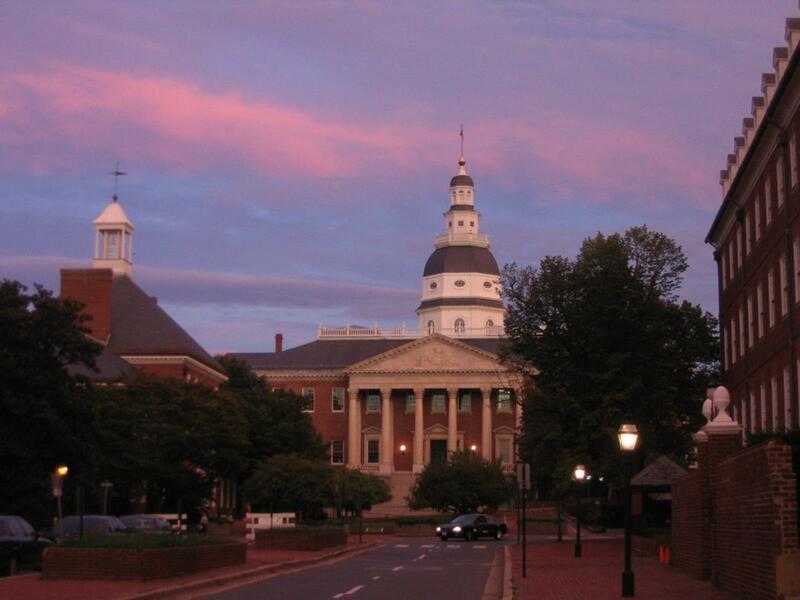 The Maryland State House is the oldest state capitol in continuous legislative use in America. Joseph Horatio Anderson designed the building in the Georgian style and the building is topped with the largest wooden dome built without nails in the country. Construction was begun in 1772 but not finished until 1779 due to the American War for Independence. When Annapolis served as the capital of the United States from November 1783 through August 1784, George Washington came here to resign his commission as commander-in-chief. The Treaty of Paris was also ratified here. Tours are available. 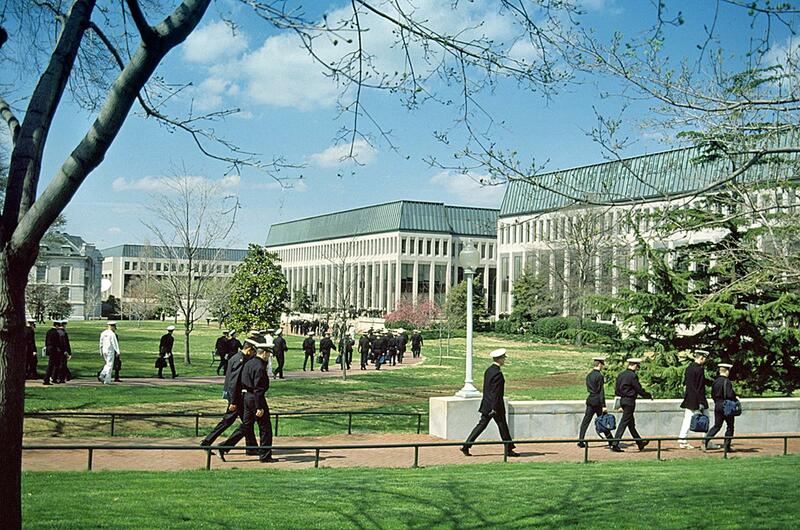 Annapolis is home to the United States Naval Academy, located on the Chesapeake Bay. Navy Secretary George Bancroft established the naval academy on the site of old Fort Severn in 1845. A guided walking tour of the campus through the Armel-Leftwich Visitor Center includes a film, a midshipman’s room and exhibits on John Paul Jones, America’s first renowned naval fighter in the Revolutionary War. His remains are interred in a crypt under the Naval Academy Chapel, where Protestant and Catholic services are held. The Naval Academy completed the Commodore Uriah P. Levy Center and Jewish Chapel in 2005. The Naval Academy Museum, dedicated to preserving the Navy’s history, is a must-see. Two Georgian-style houses, the Chase-Lloyd House and William Paca House and Garden, were owned by Maryland Declaration of Independence signers Samuel Chase (lawyer) and William Paca (former Maryland governor). Both homes are open for tours. Paca’s estate exemplifies the Georgian architecture from the “Golden Age of Annapolis.” This five-part house is surrounded by a two-acre garden containing a Chinese Chippendale bridge, a summer house, a fish-shaped pond and a wilderness area. Tours are an excellent way to explore Annapolis and bond with your religious travel group. Capital City Colonials provides walking tours with guides dressed in Colonial-period clothes. Discover Annapolis Trolley Tours offers one-hour narrated tours of Annapolis’ rich architecture and history. Visitors can also take harbor, bay and lighthouse cruises through Watermark Tours. The First Sunday Arts Festival occurs the first Sunday of each month from May through October on West Street. Festivities include live music, dance, theater and street performances, art markets and craft shows. Other Annapolis festivals include the Maryland Renaissance Festival happening in late August through October and the Maryland Seafood Festival in September. Annapolis’ rich colonial background makes it a wonderful destination for religious group travel. Visitors would enjoy the historical churches and religious sites as well as taking advantage of the unique attractions found in this waterfront city. America’s Historic Triangle is known as the birthplace of American democracy. Located on the Virginia Peninsula, the Triangle consists of the colonial sites of Williamsburg, Jamestown and Yorktown surrounded on either side by the James and York rivers. The three points of the Triangle are linked together by the scenic Colonial Parkway that enables visitors to easily access all three sites. Atlanta has many attractions as well as over 1,000 places of worship, making the city a great destination for religious group travel. San Francisco offers a plethora of places of worship for religious travel groups as they experience the wonders of the city.